BRISTOL Tenn./Va. – The moment the Gentleman of the Road tour announced that it would stop in Bristol this August, I emphatically decided I would go. It appealed to me for about a dozen reasons. 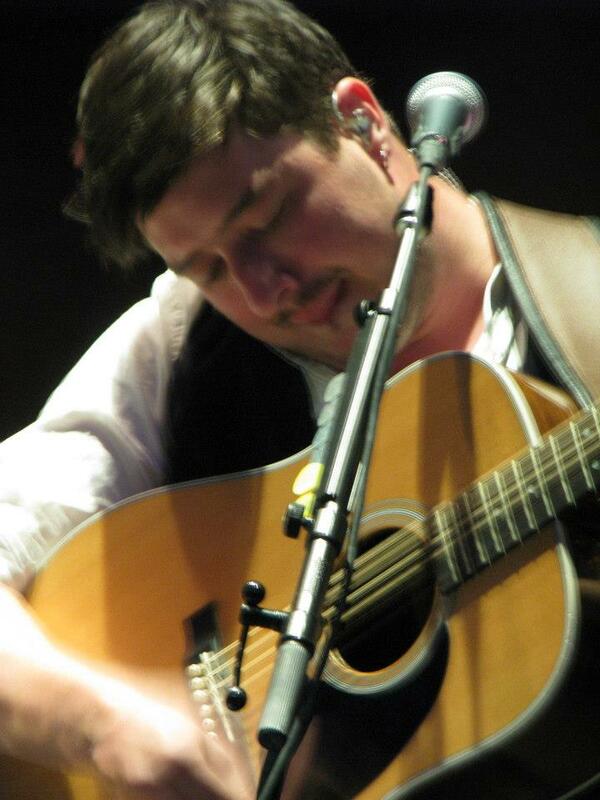 Frontman Marcus Mumford. Photo by Niki King. Chief among them, tour headliners and creators Mumford and Sons became one of my favorite bands after I spent countless hours listening to their popular debut album “Sigh No More,” released in 2010. I love the lift and momentum of their songs, their signature trademark of introducing a melody, then building it to an epic, driving crescendo delivered at break-neck pace, but with steely control. Maybe not coincidentally, the British band’s folk sensibility, with themes of injustice, love lost and attachment to hills and land, distantly reminds me of old Appalachian ballads that traveled from across the pond more than 200 years ago. And, they rock the banjo out. But, what really sealed the deal for me was the tour’s mission and values, and of course its location, back home in my native Tri-Cities region in tiny Bristol, which spans the border of Tennessee and Virginia. Growing up in neighboring Kingsport, I always found myself traveling to larger locales such as Knoxville and Charlotte to see nationally touring shows. Big bands rarely made stops in small towns like mine. So I loved the idea of making the reverse commute for once, going home, somewhere small and intimate to see a big act. 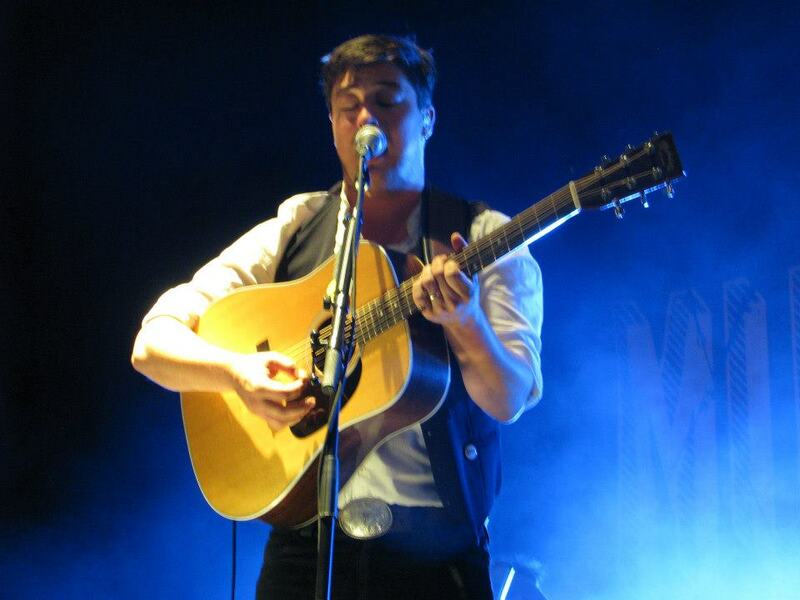 Mumford & Sons said in a release: “The Gentlemen of the Road Stopover is based loosely upon our favorite festivals like Colorado’s Telluride Bluegrass and Scotland’s Loopallu Festivals. We want to stop off in towns where bands don’t usually tour, and celebrate the local people, food and music. State Street of Bristol during Gentleman of the Road. Photo by Niki King. “We’re keen to promote the town’s local businesses, and we’ll be using the local bars and venues for after-show parties, whilst working closely with the local people to get everyone involved in making these shows spectacular. There will be a host of our friends playing, too, and the vibe of a ‘travelling Victorian circus.’ It should be a whole lot of fun.” Concert organizers used the National Trust Main Street Center to find great downtowns with the infrastructure in place to accommodate visitors, as well as a compelling history and story. Bristol, which boasts itself the Birthplace of Country Music as it was where the Carter family first recorded, rose to the top of the list for the city’s rich heritage and passion for music. 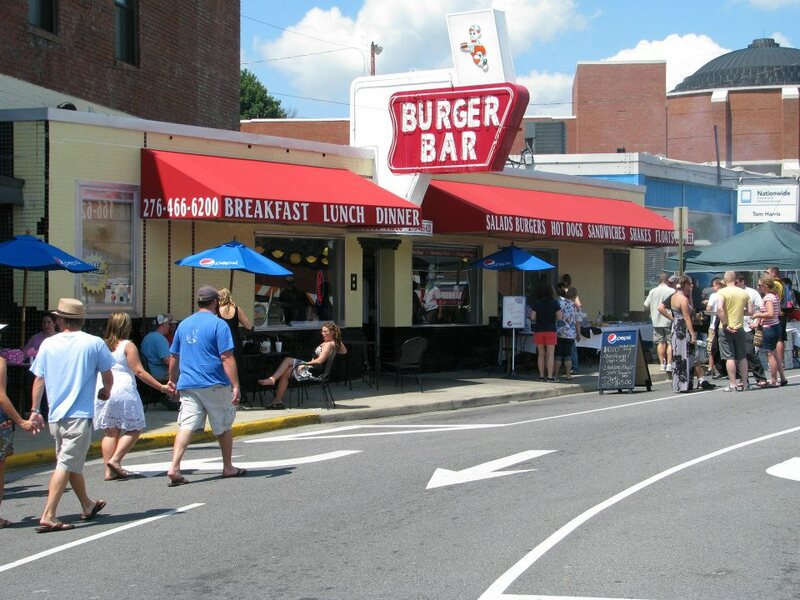 The diner where Hank Williams Sr. was last seen before his death. Photo by Niki King. It is apropos that National Trust Main Street was used, because it is the program Bristol residents have followed in the last 15 years to revive their downtown. 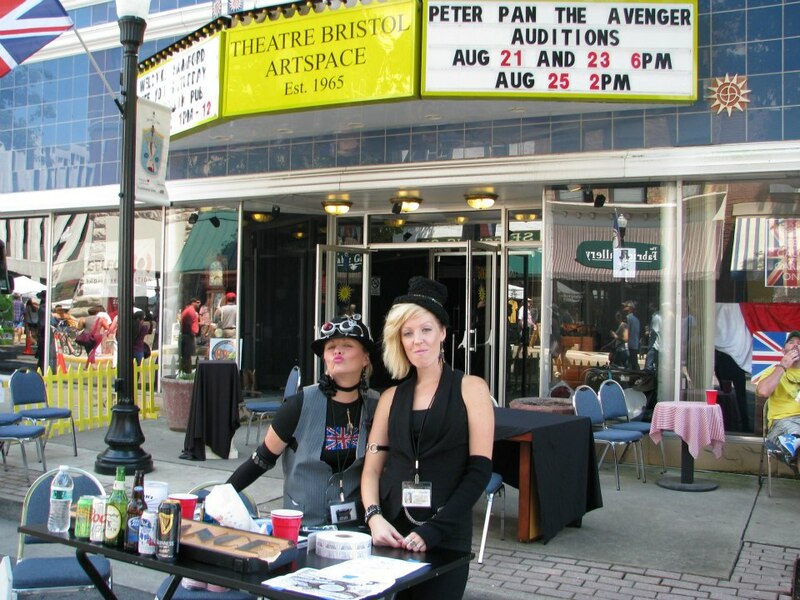 Christina Blevins, executive director of Believe in Bristol, the nonprofit organization that works for downtown revitalization, said that by the late 1970s, Bristol, like most towns in the U.S., was suffering from forces such as suburbanization, the construction of a new highway and malls that drove traffic and business from the historic core. Everyone dressed the part, including these steam-punk show promoters. A few members of our group were disappointed that the main concert stages were quarantined off from the downtown, where there was a greater variety of drinks and food. A mural depicts Bristol’s music history. Otherwise, it was a brilliant, bright summer day of music and camaraderie in a uniquely Appalachian town. If that sounds appealing to you, but you missed the fun, fear not. 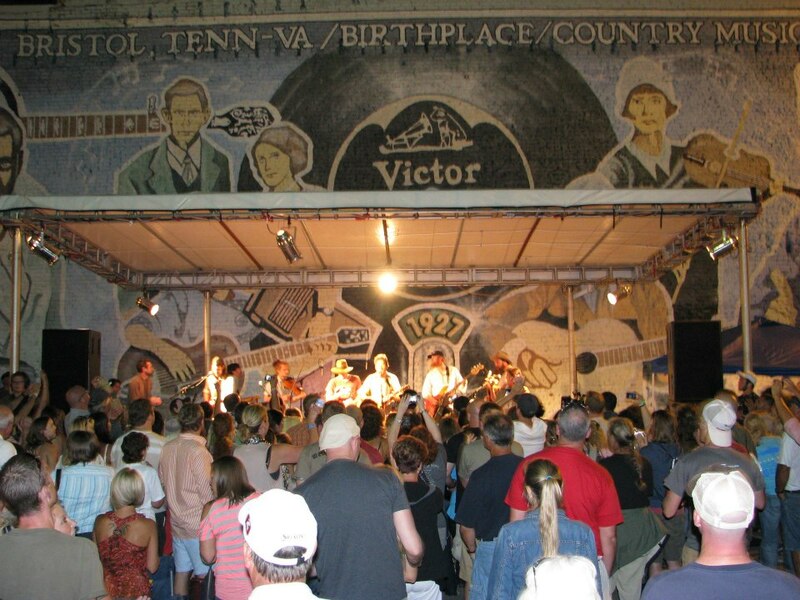 You can experience something very much like it this Sept. 14 – 16 at the annual Bristol Rhythm and Roots Reunion festival. The lineup is a diverse range of Americana offerings, with headliners such as Tift Merritt, Pam Tillis, Robert Earl Keen, Delta Spirit and Dale Watson. 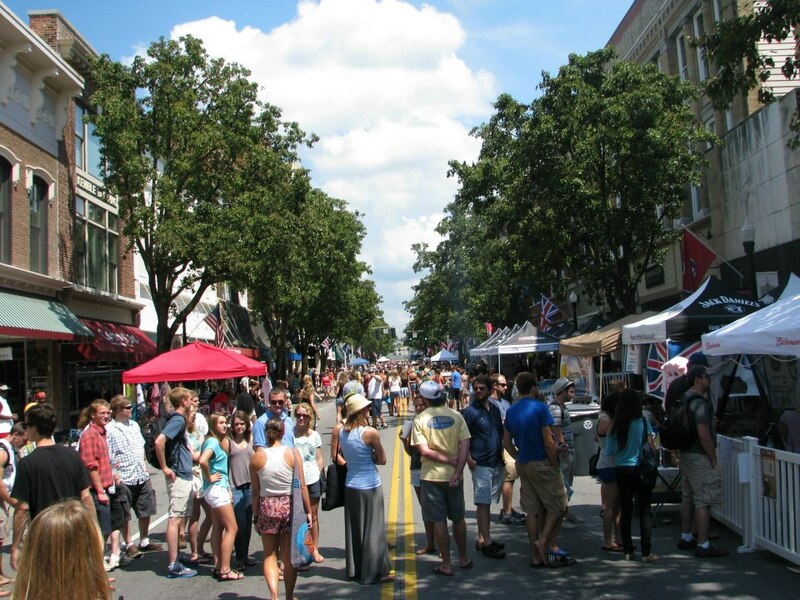 McKee went to this festival last year and said it was well-integrated into the town itself, with shows in bars and restaurants, as well as outside stages, and vendors aplenty for browsing. Click here to buy tickets. 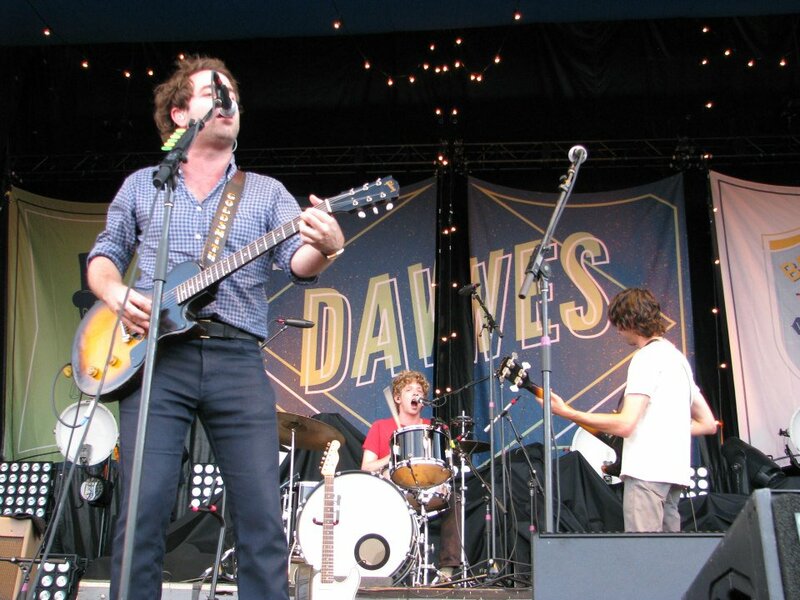 Taylor Goldsmith of Dawes. Photo by Niki King. ← Who Can Speak For Appalachia? A recent transplant wants to know.